We thanked a lot of people in our book. Here are some - we reprinted our acknowledgements online. We're very grateful and have many to thank. You might want to follow some of these links to some fascinating people. I love this story about Shanghai International School and what they and other schools are doing in China. I particularly enjoyed the story of Toni Olivera-Barton and her journey (which yes, started with some Flat Classroom projects) but have now branched out into her running her own projects. One of the things Julie and I have said is that we will know we have succeeded when we see those we teach birth new projects. The global projects stage has lots of room for educators who are innovators to create and transform the classroom. 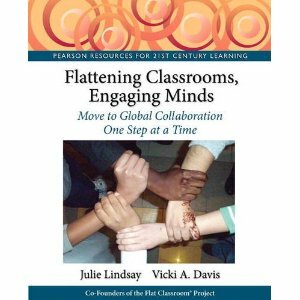 Still in its infancy, global collaboration is an essential component of every classroom. I find the projects run by real teachers in the classroom tend to be more authentic and faster paced. Great article. How do you compare to the schools and strategies used in this article? A great tutorial on how to set up a Twitter account from @mrrobbo . He targeted the information to PE teachers but really, any teacher who wants to start using twitter would benefit from this. If you are a PE teacher, you'll want to follow @ThePEGeekApps to find new apps to use in your health and physical education courses. In the UK, Sky TV is launching an internet based television service. More television channels are going Internet based. They'd better - with youtube channels and other channels coming through the Net and our Roku boxes, I now watch BBC shows like the awesome Sherlock Holmes series and movies from other countries. Borders don't mean so much. I also watch Teckzilla and TwitTv on my iPad while I'm doing dishes intermixed with old Netflix greats like Charlie Chan and some Yul Brenner classics. What I find fascinating is that we'll be talking about education in this way in the near future. We'll be mixing different profs and different courses like I mix up dinner. "Sky describes the new over the top (OTT) service as being aimed at the 13 million UK households who don't currently subscribe to pay TV, with access available via "PC, laptop, tablet, smartphone, games console or connected TV." Initially, it will offer Sky Movies on demand joined by sports and entertainment options later, with access based on either monthly unlimited subscription or "pay-as-you-go" pricing. That is where we want our learning: television, ipad, computer, home, work, smartphone, games console or connected tv. Those who realize this and adapt will survive but those who try to restrict learning to walls inside buildings inside ivory institutions may find that their organization just isn't relevant any more. The homeschooling movement is growing. This hidden element of the edreform movement may have more impact than you think. Also, just because parents are doing it, are they learning? "There are an estimated 300,000 homeschooled children in America’s cities, many of them children of secular, highly educated professionals who always figured they’d send their kids to school—until they came to think, Hey, maybe we could do better." "Last year, researchers at the Zilkha Neurogenetic Institute at the University of Southern California’s Keck School of medicine, found the placenta's role in a brain development to be far more advanced than previously believed." Last year, researchers at the Zilkha Neurogenetic Institute at the University of Southern California’s Keck School of medicine, found the placenta's role in a brain development to be far more advanced than previously believed. Great article by Seth Godin. We need to apply this to education. If people remember the last thing - are we giving them a great final experience in high school. Most likely -- no. --the last part of the experience. The IIT's in India are planning to offer an online master's degree for engineering college teachers. In this interview, a leader in online learning responds to MIT's open courseware, etc. Here is how India's IIT should respond, according to IIT-Madras Director, Bhaskar Ramamurthi. Open education will have a definite impact on education overall. My next port of call was with Vicki A Davis – award winning teacher from Georgia – and her students who talked to me over Skype about the Open Sim world they had built in four weeks on DigitTeen Island on Reaction Grid. Vicki is the person who first used the phrase ‘V Generation‘ to me. She beams confidence and authority and is one of the new breed of teachers, globally, who is trialling these technologies with her students in highly successful ways. 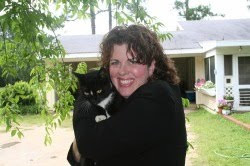 She has an amazing ‘can do’ authority about her – no equivocation, nay-saying or dithering, she just gets right on down and does it as she has done with Web 2.0 tools for the last four years. Like all the individuals I have met along the way – she’s a self starter with a whole raft of awards around the internet projects she’s been involved in. There’s no doubt who is in charge in her classroom but all her projects are highly collaborative and emergent with time built in for reflection on the part of the students. Vicki is one of those new breed of global teachers who just simply changes the system by sheer force of work and dedication. Even eye contact makes a big difference because it helps promote a connection. "People who had gotten eye contact from the research assistant, with or without a smile, felt less disconnected than people who had been looked at as if they weren’t there." Kids are going to Twitter like crazy now. Why? Their parents aren't there. Well, I'm there and now I'm cool. Better enjoy my moment of being cool for the 2 seconds it lasts before they move to something else. Do you celebrate the 100th day of school? My friend Jerry Blumengarten has curated a ton of great ideas for you. Charles Dickens birthday is February 7th. Here are resources and lesson plans to help you. Information on the Chinese lantern festival. In the chinese lantern festival (coming up on February 6), children in China and in other areas across Asia, carry lanterns with riddles on them as they go into their temples. Here are some lesson plans and templates for making your own lanterns. You could have students put riddles on them relating to topics you have going in your classroom. The Latin American Street Children's Organization has a math challenge that runs this Friday, February 3rd. Registration is open through January 31st. It is open to classrooms around the world. I find this interesting because the students debate the strategies for solving math problems. This is the largest math competition in Ireland but is spreading to other countries. When you participate, each child donates 1 british pound (convert to dollars for US) to participate. This looks like a fascinating competition and one that math teachers, particularly those who have students with Latin American heritage, may be excited to join. The LASCO interschools math challenge is open to all schools. It is this Friday, February 3. The UNICEF day for change in the UK. Here is the description of what they are doing this year: sports for development in Uganda. This upcoming Friday is the UNICEF day for change in the UK but what a great idea. I can't find anything on the US website about this activity but it seems to be all over UK websites. I think that it is a great idea to have some sort of "change day" for children's activities in schools whether it is for UNICEF or another cause. Many students have change in their houses and can do something. A website full of debate topics -- a debatabase. Debate is an important skill. This teacher is using iTunes producer to write books for her students in Indonesian and has run into trouble, however, here is her advice with screenshots and graphics. Some very practical advice to those writing free ibooks for their students. An app to help with letter reversals. This website has nice reviews, but I like the approach being taken by Classroom Window and hope you'll join me over there in writing reviews. This website lets you create a timeline for your child but can also be used for children. When you use it, it creates a special email that lets you update their moment garden by sending to the email. Mr. Howard-Jones said that research has shown that the introduction of a chance or game element into any reward system increases dopamine production. “For generations, we educators have done everything we can to maintain a consistent relationship between reward and achievement, but the neuroscience is telling us something different,” he said in an interview." "Children with autism spectrum disorder (ASD) may benefit from verbally learning their daily schedule at school instead of using visual timetables, the common approach." Different paradigms in online free learning are evolving and I found this comparison on visualturn between MITx and Udacity to be an interesting one. Sebastian Thrun believes that weeding out students doesn't promote learning and what he's going to do about it. "Sebastian Thrun recently announced he is leaving Stanford to offer free online courses through a platform called Udacity.com, which also will offer certificates of completion. Both MITx and Udacity are experiments in offering online learning to large numbers of students for free, along with some kind of “official” recognition of achievement. One way they differ is in their orientation toward student success and completion." I've been thinking about this saying and how it applies to my classroom, my pocketbook, my life. I guess it is another version of the "small holes sink big ships" kind of thinking. Are we spoon chucking away our classroom time? Add up all the distractions: fire drills, testing (if you're stuck with mandatory testing), assemblies, kids leaving for sports and how much time do you really have to teach? Perhaps if administrators look at the classroom time that is being "spoon chucked" out the back door it will help improve learning because kids will have more time to learn. Are we spoon chucking away the time we do have? It is rare that I will end 5 minutes early. Multiple 5 minutes by 5 days and that is 25 minutes a week. Multiple that by 30 weeks and you have 750 minutes or 12.5 hours a school year. You could teach so much. If you HAVE to finish early, use this time for thought provoking conversations or something of meaning in your topic. You could do the same at the beginning of class if you don't start on time. Are we spoon chucking away our relationships with our students? Researchers have shown that even eye contact helps people feel more connected and that those who don't feel connected aren't as happy. That extra few moments at your desk grading while the students come in might be you spoon chucking away your relationship with your students. Perhaps you should be at the door making eye contact and calling them by name. 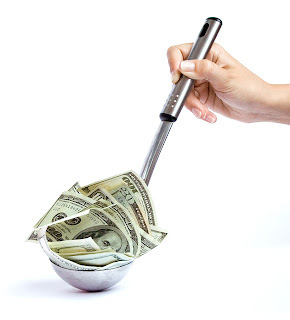 Are we spoon chucking away our money? Every so often, I call and get a new credit card from the same company just so I can discontinue using the old one. That way, I have to consciously decide that I am going to keep spending on those debits on my credit card. Do I really need all those things I'm charging every month? Are we spending our money on the wrong things and spoon chucking away the happiness? A new study shows that we are happier when we buy experiences -- when we go places with people -- than when we buy things? Will that extra rug in the den make you happier -- no? But if you took that money and went out with your family, it might just. Things don't make you happy. Makes me want to live in a shack and travel the world when I think about it. Poppa Adams was a smart man and I am collecting the sayings that he passed down to my Dad (his grandson.) I'm pondering this whole thought in all areas of my life and putting up my spoons. Sometimes our solution is to get more wheelbarrows, when instead we should look at what is being thrown out the back door. David Loertscher is an inspiring, brilliant researcher who has written some great books on the learning commons and the evolution of the library. He is an expert. You'll want to join this free interview at 5pm Pacific, 8pm Eastern. Librarians and administrators should attend this session. I've learned so much from David. If you're going to spend money, buy experiences not things. I also wonder if this would apply to schools. Are we happier doing novel activities or in having new gadgets in our classrooms? "A new study suggests that those who spend money to do things are happier than those who spend their money on possessions." We thought we had a new planet - fomalhaut b, but a team at Princeton says the original findings are in error. This Seattle Times Editorial about the state of education in Washington State is one of the most useful I have ever read. It explains the situation with facts,includes useful infographic and summarizes each topic with a practical recommendations.This is a formula I wish we would see more often instead of the emotion-filled fact-absent research-bending opeds that seem to be the norm in most media outlets. Will raising the dropout rate help? What happens when you have students who are being promoted even though they are not capable? Will this just cost money or will it improve learning? Here is an article on the Huffington post for those who want to join in the debate. President Obama, in his State of the Union Address, called for every state to require students to stay in school until they turn 18. Interestingly, if a stranger joins a hangout, google will kick a teen user off their own hangout. Anyone who is 13 and up can now use Google plus. "Google said Thursday that it is opening up its Google+ social network to teens 13 and over, while rolling out new protections for those teens who join." Here are the resources from the first chapter of the Flat Classroom book along with the first chapter. Here is the youtube for teachers channel as part of the youtube edu initiative. You can drill down by videos for your school by subject area. Dr. Craig Union found that participating in the Flat Classroom - NetGen and Horizon Projects minimized ethnocentrism. Here is a copy of the full study shared in our new book. There is a human cost when manufacturing is outsourced to places that do not respect human rights. This article is making the rounds in light of Apple's stellar financial performance but it can be related to other companies too. Overseas reall means "no one sees" and thus no one cares. We should care about human beings being treated in a humane way no matter where they live. Welcome to the Library Dogs Web Site! There are schools in Georgia with reading dogs. Yes, reading dogs. These animals stay in the library and kids get to. There and read to the animals. My friend Stephen Rahn shared a pic on Facebook about two he saw yesterday and sas the kids love them. They sit on the floor and read to the dogs as their tails wag and the kids love it. I think this is an amazing idea but ain one about how libraries are bing reinvented. heartwarming! Gadgetbox - Apple vs. the textbook: Can education go paperless? Apple's move into textbooks. Perhaps bumpy at first but with lots of potential. I have seen a lot of favorable thoughts with the Apple announcement. Here is a note from MSNBC I thought expressed a concern of many. Great article about the announcement that is balanced and not just fanboy worship that we get from many sites. ". Can Apple control quality and manage the educational boards? As soon as the iBooks Author tool was introduced, many Apple watchers who had previously witnessed the garbaging up of the iTunes App Store — with useless or redundant fart or flashlight apps — let out a collective sigh. How long until the shiny new corner of the iBookstore, where the textbooks will reside, is filled with hastily made, low-quality products, or worse yet, works of high quality that nevertheless contain misleading or unsubstantiated information." This teacher reflects on the practices he feels have raised test scores in his classroom. Test scores are a fact and until it is changed at the top, teachers in the classroom have to work within that environment. Move to global education fund but funding is hard to come by. This article implies it is easier to raise money for diseases than to educate people. That is sad. "All 193 United Nations member states are signed up to a Global Millennium Goal for primary school education to be accessed by every child by 2015, agreed at the New York Millennium Summit in 2000. In the current funding set-up, countries with the biggest out-of-school populations, such as Afghanistan, India, Pakistan and Bangladesh, are not eligible for grants from the World Bank's Global Partnership for Education (GPE). Despite being the leading worldwide education fund, the GPE recently failed to raise a pledges target of 2.5 billion US dollars (£1.6 billion) over three years and has been criticised for a lack of flexibility in allocating grants.". Conversation has moved from SOPA to ACTA, an international treaty supposedly supported by the enetertainment industry. Hackers are targeting governments and businesses in opposition to SOPA and now are targeting those in support of this new treaty which does not require legislative approval in most countries. Expanding ICT in sub-Saharan Africa is a great thing. How far will $1million go when the Internet is so expensive in many parts of Africa. But it is a start for this joint partnership announced at Microsoft's partners in learning conference in DC this past November. Integrating text to speech is great but it should be in every e textbook for every student. At least this is a start. ".HMH is proud to be the first to offer text-to-speech functionality with every online social studies student edition for grades 6-12,” to said Melissa Counihan, Vice President, K-12 Literacy and Social Studies Segment Management, HMH"
India is upset over a recent international test that put their 15 year olds second from the bottom in test scores. ".Comparing scores, it’s estimated that an Indian eighth grader is at the level of a South Korean third grader in math abilities or a second-year student from Shanghai when it comes to reading skills." Understand one of the leaders behind SOPA and you'll know that this is not going away any time soon. "Dodd blames the bills' reduced support on a slow timeline that allowed opposition to mobilize, but also on a strategy that ended up making the anti-piracy effort seem specifically about helping Hollywood. His own efforts were also limited by a law that prevents him from lobbying Congress directly within two years of leaving office." Circus physics videos from PBS. (Hat tip to Richard Byrne for this great set of videos.) There are 8 short videos that use circus performers to teach physics concepts. We will enable this next year at our school but PowerSchool parent is an app with many downloads. This is the link to the itunes store. My son loves everything Lego including this cute (free) app. This app is a top paid app in the iTunes store. It is a new one to bit the charts. Awesome! "For $24.95 a month, the service will give users unlimited access to its library of 11,000 audio books through its website and an HTML5 mobile app. Though Amazon-owned competitor Audible has a monthly membership, it relies on a credit system that gives users access to a certain number of books per month depending on the fee. Audiobooks is the first service we can find that is streaming books using a monthly model. " IQ is linked to social context. Does this mean mainstreaming is wrong? Right? Depending on who you are? ". Provocative new research discovers small-group dynamics can lower the expression of IQ in some susceptible people. In the study, researchers determined IQ is significantly linked to social context." IQ depends upon social context? If this research is proven to be true it could change how we measure and understand IQ. "“This study tells us the idea that IQ is something we can reliably measure in isolation without considering how it interacts with social context is essentially flawed,” said coauthor Steven Quartz, Ph.D. “Furthermore, this suggests that the idea of a division between social and cognitive processing in the brain is really pretty artificial. The two deeply interact with each other.” . Are all of your teachers gaining weight? maybe it is a sign of deeper problems or a toxic work environment. I have seen it happen and believe it. Of course, are you stressed because you are heavy or are you heavy because you are stressed? " Research has found the answer. Apparently stress is the biggest cause of overeating for more than half of the country’s adults." How do you determine what an online course is? I love Stephen Downes' tongue in cheek thought on how this is being defined. great points. This app is interesting not onky because it is a very simple free text editor bit it is open source "charityware." I cannt recall hearning the term charityware but they have a suggested charity they would like you to donate to if you like the app. That is a great idea. Google is open sourcing Google Sky Map for Android. ".Today, we are delighted to announce that we are going to share Sky Map in a different way: we are donating Sky Map to the community. We are collaborating with Carnegie Mellon University in an exciting partnership that will see further development of Sky Map as a series of student projects. Sky Map’s development will now be driven by the students, with Google engineers remaining closely involved as advisors. Additionally, we have open-sourced the app so that other astronomy enthusiasts can take the code and augment it as they wish." Japan has work to do. This is heartbreaking indeed. From the Wall Street Journal. ".Underscoring the risks facing Japan, a new research institute investigation has determined there is a 70% chance of a magnitude-7 earthquake striking the Tokyo metropolitan area within the next four years, and 98% over 30 years. The March 2011 earthquake was a magnitude-9." David Warlick's reflection on the miracle of Finland's flourishing education system is a great read. Sad, but this is happening. I do have to wonder that if it was that bad should the parents have moved him? The parents are suing the school for notbprotectingz their child from bulkying and false accusations. I was bullied. Simple answers dont exist. Expect the FTC to take a closer look at Google who will be tracking your activity across all their products as of March 1st with no choice to ot out. what are they doing with google apps for ed? Apples envious numbers have everyone talking. ".Big test looming? Grockit is a social study tool that’s customizable and connects you with friends on Facebook. Study guides are available for middle school, high school, college and graduate students — from the SAT to GRE. The program has some hefty research behind it, too. Experts in curriculum design who’ve worked for Apple and Houghton Mifflin helped create some of the lesson plans on the app. Study solo or connect with study partners on Grockit. Let your Facebook friends know you’re studying on Grockit and boast about the latest badges you’ve earned on the site." Four great sites to find vintage photographs. For presentations, activities, and authentic learning. Sometimes a picture is worth a thousand words. 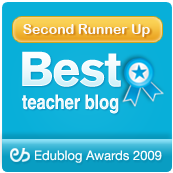 A contest that you'll want to consider entering with your students. Distracted driving—from texting behind the wheel to turning around to chat with friends in the backseat—can lead to deadly consequences, particularly for teens. Now your students can save lives and change attitudes by entering our Drive2Life Contest. Challenge your students in grades 6–12 to create an exciting, innovative storyboard or script for a memorable Public Service Announcement that educates others about distracted driving. The grand–prize winner receives $1,000 and will embark on a trip to New York City, where a professional film crew will transform the student’s vision into a 30–second commercial! Four runners–up each will receive $500. A reproducible worksheet for creating a compelling storyboard"
tags: education teaching lessonplans contest lessonplan distracted driving cellphone safety. I love Goodreads and now have a reason to go back more often. Here is how you can integrate it into your Facebook with the new Open graph service. This may become the book review mechanism of the future, linking with our friends. Livebinders has an ipad app now. Livebinders rock! Student success starts at home, but it can be tough navigating the waters of learning. In the first post in this series, I shared the facts about how success starts at home, in the last post we covered the first three items in my list of 10 tips for starting student success at home. This is a series I wrote for the Lifetime Channel that I'm also posting here on my blog. 4 - Success in the classroom is not just mastery of the subject matter but mastery of a child’s relationship with his/her teacher. We all have to get along with people they don't like for the rest of their life and classroom is life. Children will have bad bosses one day and they may have a bad teacher today. I am preparing them for how to deal with a bad boss when I teach them how to deal with a bad teacher. Sometimes my child can learn more from a bad teacher than a good one if they learn to be strong, do the right thing, and work hard. I cannot always insulate my child from such experiences but can help give them perspective. I do believe that most teachers are good teachers and there are some great teachers. Realize also that a great teacher can become a mediocre teacher quickly if administrators or budgets have put too many children in a classroom. 5 - I will create an area that sets them up for success at home. 6 - I will read with my younger children and let them see me read. Reading is part of life and being a lifelong learner. It has a revered place in our home as something that we all do. I will read a variety of things and let them see me do it. Sometimes they learn more about who I am when they catch me reading my bible at 6 am or reading Consumer Reports before buying a washing machine or reading Educational Journals cover to cover. He does and now I hear him giggling at funny things or groaning and upsetting things as he reads. With my older two, I would read aloud to them in the car as we drove. Although we could do a book on tape, hearing my voice is important, I think. They know I think reading is important. In my post, Time to Get Angry About Reading, I shared some research about how one third of high school graduates never read another book in their lives and over 40% of college graduates don’t read another book after college. If you don’t like reading then your child won’t like it either. Success in reading definitely starts at home. See the next post in this series for items 7-10 in this list. Remember, Moms (and Dads) matter. Note: I will be concluding this series on my blog this week but if you want to go ahead and read part 4 and part 5 of this series, you can on my Lifetime Channel blog. The social study hall linking you with your friends as you study. ".Big test looming? Grockit is a social study tool that’s customizable and connects you with friends on Facebook. Study guides are available for middle school, high school, college and graduate students — from the SAT to GRE. The program has some hefty research behind it, too. Experts in curriculum design who’ve worked for Apple and Houghton Mifflin helped create some of the lesson plans on the app. Study solo or connect with study partners on Grockit. Let your Facebook friends know you’re studying on Grockit and boast about the latest badges you’ve earned on the site." Use iBooks author and Apple effectively owns all distribution rights to your work. This is a terms of service to run by your lawyer if you are, have or plan to publish in the future. Principal Charlie Roy reflects on his schools's first 2 years of 1:1 with a guest post over at Dangerously Irrelevant. For you audiophiles, the top 6 music streaming services. Pay attention. US politics is changing again. "Tuesday’s State of the Union Address from U.S. President Barack Obama will include something special: crowdsourced captions and subtitles provided by everyday citizens around the world. Using new web tools from the Participatory Culture Foundation, supported by Mozilla, participants will transcribe and translate the President’s speech into dozens of languages in a matter of hours, making it more accessible to those with disabilities and in other countries across the globe. Launching “Open Election 2012″ The event marks the launch of “Open Election 2012,” a new partnership between Mozilla, PBS NEWSHOUR, the Corporation for Public Broadcasting (CPB) and Participatory Culture Foundation." Doug Johnson shares about how to effectively budget for your library. A detailed view of Apple's iBook Author for the Mac. It is supposed to be great for textbooks but you may want to look elsewhere for more multi platform compatibility for your non textbook ebooks. With only 7 titles, Apple still had 350,000 textbook downloads. eBooks are in demand, no doubt. Whether these books are in demand or if curious stakeholders downloaded them is unclear. If this number gagues interest, ebooks are hot topics. Phone hacking scandal in UK has findings released. They found, "Rather than tell her family and police of this important information, it appears they concentrated on getting a scoop." This is sad.
" Evi is a new iPhone (iTunes link) and Android app in Beta (link) which might just give Apple’s Siri a run for her money" Ftom True Knowledge, this app is said to be much better for those outside the US where Siri really doesn't have the answers, literally. Have the virtual assistant app wars begun? Ceri is from the UK and is going to live demo a program he's written for Kinect (that he plans to give away for free) that emulates the program Soundbeam. This program lets you move parts of your body and plays music and is going to be an incredible thing to use for special ed students with the Kinect. This is his twitter handle. Follow him to Keep up with what he's doing. One of my favorite youtube channels for teachers and educators is from Jarrod Robinson "Mr. Robbo the PE Geek" from down under. He is helpful, loves kids, and has a unique understanding of engaging bodily kinesthetic learners in all subjects and a passion for mobile learning.